Like many summer camps, the zoo offers children and teens an opportunity to make new friends and have fun in a unique setting. We too deliver games, themed activities and have clever ways to stay outside and work around unpredictable weather. But where else can you make a willow and dandelion doll for a rhino? “The [dandelion] craft was for Sabari,” explains 12 year Akira Longhi who attended our Grade Five/Six camp, Zoo Squad. “It didn’t matter what they looked like, for him it was just salad.” The Grade Seven student has attended camp every year since he was five and the well-spoken pre-teen appreciates the deeper impact his registration fees have. Akira plans to stay connected to the zoo by volunteering and having a summer job here someday. His sights are set on Destination Africa. Not all campers were thrown off by the idea of husbandry duties. Some, like Lucas Miller, enjoyed the physical aspects of time at the zoo. Zoo summer camp goer experiencing what it is like to be a keeper. 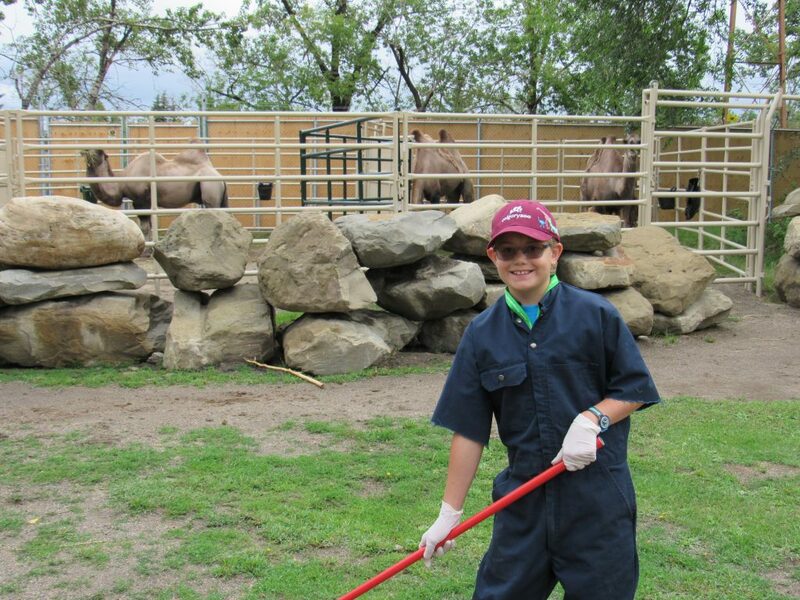 “Mulching the rhino yard was kind of fun,” the 11-year old admits. This zookeeper camp task saw ten campers, two leaders and a zookeeper spending an hour working to haul barrels of mulch into the outdoor yard for Sabari. Lucas also noted visiting the Animal Health Center, the zoo’s commissary, and working through conflict in art camp as other highlights of his time at the zoo. As for his future with the zoo, Miller admits camp is “a once in a lifetime experience” but has his sights set a little higher. As in another atmosphere. The Grade Seven student plans on becoming an astronaut but is “not sure if you can find hippo-sized space suits” for his time on another planet. Because he wouldn’t want to be there without animals too. 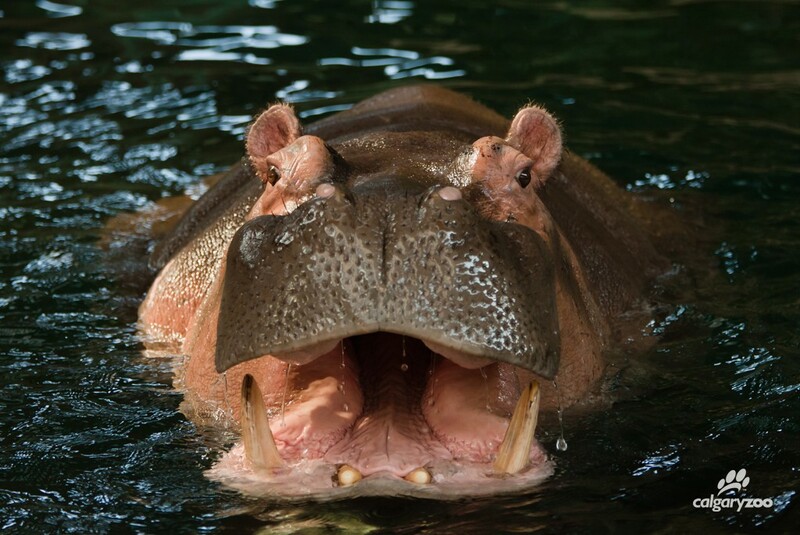 Lobi the river hippo has a starring moment in a candid snapshot. That’s one big mouth! The Calgary Zoo is continuing to offer out of this world programs with PD Day camps this fall. On top of all of the amazing experiences during a PD camp day, there is an option to include before and aftercare, lunch and more! Find dates and details here. All child members receive 10% discount on zoo camps. Come experience the PD Day camps this fall and winter! Check out more member camp experiences here!